Below you fill find all funeral homes and cemeteries in or near Boaz. Suburbs of Boaz: Sardis City. Boaz is also known as: City of Possibilities. Their current mayor is Mayor Tim Walker. Zip codes in the city: 35956, 35957. Etowah County funeral flowers can be purchased from one of the local funeral shops we partner with. Some of the notable people born here have been: Tim Hodge (screenwriter and voice actor). 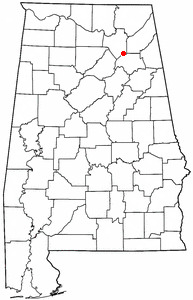 Boaz is a city in Etowah and Marshall Counties in the State of Alabama. It is part of the 'Gadsden, Alabama Metropolitan Statistical Area'. As of the 2010 census, the population of the city is 9,551. Boaz was known mainly for its outlet shops. It was written by Orlando Sentinel on March 8th, 2018 that Frances G Koontz (Gardner) perished in Florida. Ms. Koontz was 100 years old and was born in Boaz, AL. Send flowers to share your condolences and honor Frances G's life. It was reported on November 24th, 2017 that Lucille Bolding (Slusher) died in Boaz, Alabama. Ms. Bolding was 84 years old. Send flowers to share your condolences and honor Lucille's life. It was reported by Orlando Sentinel on September 24th, 2017 that Kyle David "Dave" Rickles passed away in Florida. Rickles was 72 years old and was born in Boaz, AL. Send flowers to share your condolences and honor Kyle David "Dave"'s life. It was reported on August 28th, 2017 that David Glen Stover died in Boaz, Alabama. Stover was 61 years old. Send flowers to express your sorrow and honor David Glen's life. It was reported on September 2nd, 2016 that Richard Wingrove passed away in Boaz, Alabama. Wingrove was 69 years old and was born in Ashland, OH. Send flowers to share your condolences and honor Richard's life. It was disclosed on August 4th, 2016 that Berneita Marie McElroy (Smith) passed away in Boaz, Alabama. Ms. McElroy was 93 years old and was born in Jewell, KS. Send flowers to express your sympathy and honor Berneita Marie's life. It was written by Flint Journal on April 7th, 2015 that Charles R "Chuck" Gentry died in Flint, Michigan. Gentry was 80 years old and was born in Boaz, AL. Send flowers to express your sympathy and honor Charles R "Chuck"'s life. It was disclosed on November 1st, 2012 that Thomas Franklin Johnson perished in Boaz, Alabama. Johnson was 78 years old. Send flowers to express your sorrow and honor Thomas Franklin's life. It was noted on October 24th, 2012 that Thomas Franklin Johnson passed on in Boaz, Alabama. Johnson was 78 years old. Send flowers to express your sympathy and honor Thomas Franklin's life. It was revealed by The News Tribune on October 7th, 2012 that Ella Jay Eggimann (Stephens) passed away in Puyallup, Washington. Ms. Eggimann was 99 years old and was born in Boaz, AL. Send flowers to share your condolences and honor Ella Jay's life. Boaz is located at (34.202793, -86.160457) . . . . . 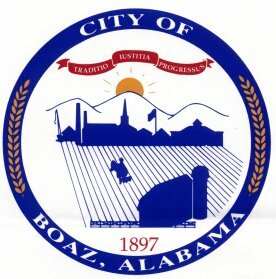 The official website for the city of Boaz is http://www.cityofboaz.org/. Funeral services are to be held Tuesday for a Prince George's County police officer killed in a crash while pursuing a vehicle on Interstate 95. We work with local florists and flower shops to offer same day delivery. You will find budget sympathy flowers in Boaz here. Our funeral flowers are cheap in price but not in value.